For the second year in a row, the World Economic Forum has ranked Canada's banking system "the soundest in the world," and given Canada top marks for the ease of starting a business. The Immigrant Investor Program, a category of Canadian Business Immigration, is an essential Canadian immigration option for business people who have accumulated a high net worth and wish to take advantage of Canada’s opportunities, such as a five-year ‘tax holiday’ for new Canadian permanent residents. There are two Immigrant Investor programs: the Federal Investor program, and the Quebec Investor program. While the requirements for both programs seem similar, the Quebec Investor program has slightly different conditions than the Federal Investor program, and, depending on the applicant’s country of residence, may provide a faster route to a Canadian immigrant (permanent resident) visa. 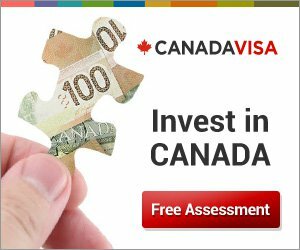 The Federal Investor program is geared towards people who intend to settle anywhere in Canada outside of the province of Quebec, while individuals who wish to settle in the Province of Quebec apply under the Quebec Investor program. For both programs, applicants must have legally acquired a minimum net worth of CAD $800,000. In addition, applicants under both programs must agree to make a government guaranteed investment CAD$400,000, which can be financed. Five years after the investment is made, this sum is returned to the applicant, without interest. In addition, the applicants under both programs must show at least two years of qualifying business experience in the last five years. This is where the requirements differ between the two programs. The Federal Investor category considers management experience only in commercial enterprises, whereas the Quebec Investor category is not limited to commercial enterprises and considers management experience of any kind. For this reason, the Quebec Investor category may appeal to individuals with broader management backgrounds. The processing times also vary between the two programs. While immigration to Quebec is a two-step process involving both provincial and federal immigration authorities, Quebec-selected applicants are fast-tracked at the federal level. As well, Quebec Immigrant Investor applications are often processed fairly quickly at the provincial level. As a result, applicants under the Quebec program often find that their application takes less time to process than those of applicants under the federal program, but this depends on the visa offices involved in processing the application.